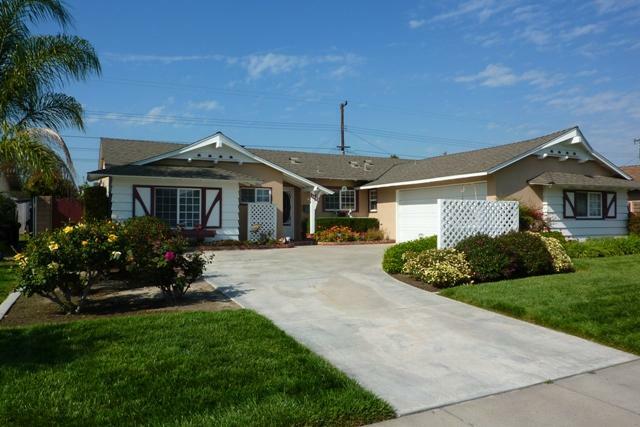 Denny & Denise, I was looking over the beautiful photos you gave me of our little home in Fullerton yesterday and I realized that I needed to thank you so much for "walking" me through the process of selling my home. The two of you were always so kind and helpful. I couldn't have done it without you! I am gradually getting settled in here although they continue to build homes across the street. I have two little great grandsons who like to come visit every week and they stand in front of the windows and just watch the big earth movers as they dig holes! This is a rapidly growing community, especially for seniors. My daughter and I have been ordering new furniture and so it's been fun to wait for their arrival. Denny and Denise were amazing! They made us feel like we were their only clients. Always available when we needed them and they were so patient. We looked at quite a few houses before we found the one and not once did we feel like they were sick of us. They definitely went the extra mile. They also sold our condo in 1 day! 1 day! Once we found the house we loved the transaction went so smooth. I would highly recommend them! Thank you so much Denny and Denise, we love our new place. 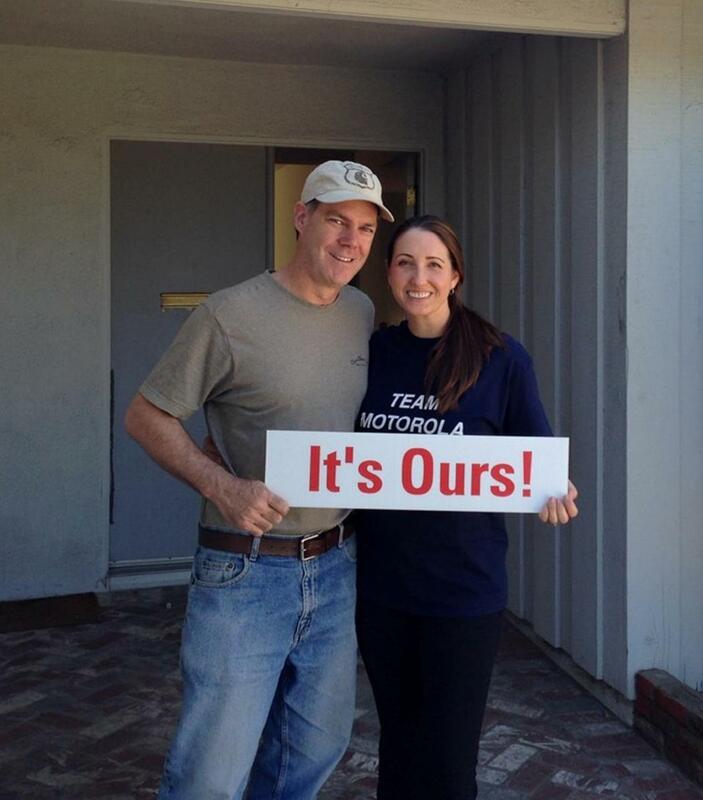 I can't thank our realtors, Denny Denise Rockwell enough for their hard work in helping Steve and I get this house. Thank you both for the wonderful housewarming gifts and gift cards. What a pleasant surprise! We will put everything to good use. We can't thank you enough for all the hard work the two of you did to not only sell our condo, but also to find out new home. It was truly enjoyable working with you both and you certainly made the overall experience a pleasant one. We are very fortunate to have had the opportunity to work with you and have truly enjoyed getting to know you personally as well. Like we said earlier today, you were definitely a good fit for us and we are forever grateful. We look forward to having you over for a barbecue and drinks in the near future.......once we have had the opportunity to get settled in! This is the team to have if you are buying or selling a house. hey really help guide you through the process and help navigate/avoid the inevitable bumps in the road that can occur in a real estate transaction. Denise did a great job staging our townhouse for sale and Denny was there every step of the way with advice from years of experience. I can wholeheartedly recommend the real estate team of Denny and Denise Rockwell since they did such a fantastic job locating a home for us and guiding us through the complexities of both buying and selling a home. I was just thinking about you both, and wanted to send a big giant thank you for hanging in there with me and making the sale of mom's home so easy. I was thrilled of course that the Sander's got the house. We would like to thank you for the gift basket of home improvement goods! So this week we used the dust pan and didn’t dig in much further. This morning I fished through for some working gloves and saw your card. Much to our surprise, wow, thank you for the gift card! It was like finding money in the couch (so far we have only found crumbs from Abby’s cheerios…). We promise to put it to good use on our new home. Again, we really appreciate all of your work on our behalf and we are so happy with our new home. Thanks again! Thanks from the both of us for the gift card. Very thoughtful of you and Denise! We enjoyed working with you. It was peace of mind for us knowing that you would take care of anything that came our way before and during the whole transaction and also for the sound advise from time to time. Excellent job with the prep - staging, website, photography etc. All in all, very professional. Continue your good work! Denny and Denise were terrific in our home selling process, providing everything we needed including comprehensive knowledge about the market of our neighborhood, speedy and thorough communication through phone calls, emails, and texts, expert advice on staging our home for sale, professional negotiation skills that simultaneously shielded us from bidding war drama while acquiring the maximum amount for our home, and sticking with us until the end to make sure all the little details were handled properly until escrow closed. 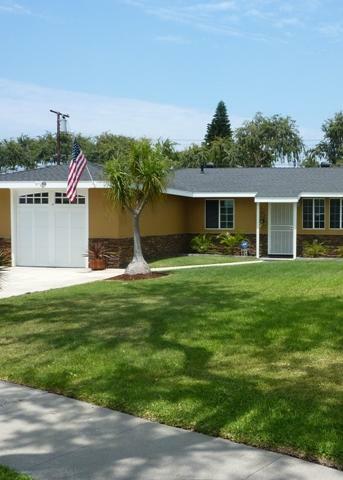 My wife and I have already recommended them to several of our friends looking to buy and sell in northern Orange County. Purchasing a first home can be quite an overwhelming task unto itself, add to that the limited inventory in today’s market and you soon realize how difficult the process can be. A knowledgeable, experienced real estate representative is crucial to navigating and successfully acquiring the home of your dreams. We spoke with a few agents before meeting with Denise Rockwell. Five minutes into our conversation with Denise and we were certain we wanted the Rockwell’s to represent us. Their knowledge, experience, professionalism & most importantly wonderful personalities set them oceans apart from their peers. Considering the stories we’ve heard from other home buyers, we feel extremely fortunate for having Denny & Denise on our side. They accommodated our ambitious schedule, were patient as we looked through several houses and as we corrected our search criteria, gave us valuable advice in assessing potential properties and helped guide us through an inventory of foreclosures, short sales and multiple bid properties. Their expertise and demeanor set us at ease and instilled confidence in us that we had the best representation possible. 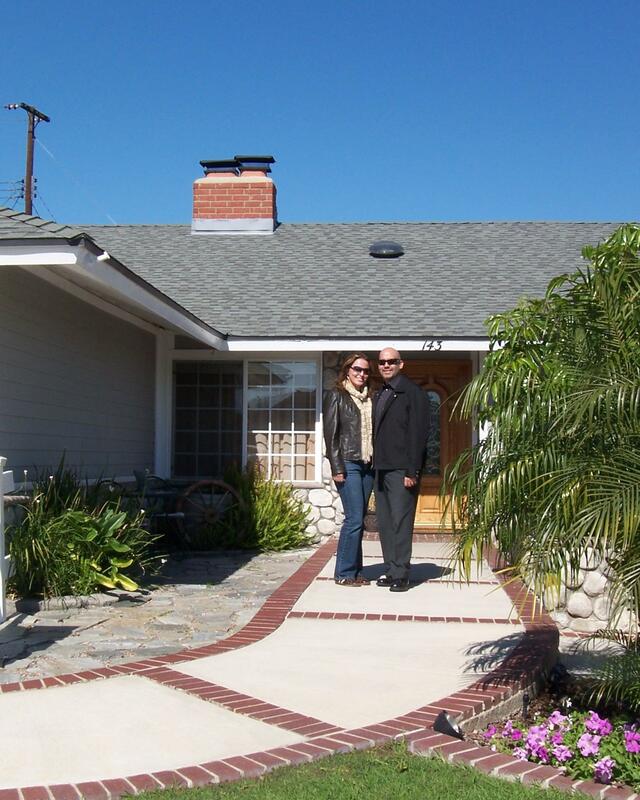 And when we did find our dream home, they executed the bidding and purchasing process with diligence and efficiency. We owe it to their vast experience, expertise and most importantly great communication with all parties involved, that we now have a wonderful home to call our own. Denise & Denny, we want to take this opportunity to thank you from the bottom of our hearts for representing us in purchasing our first home, for genuinely looking after our best interests at all times and for helping us successfully navigate a tough market. Its been an absolute pleasure! And finally thank you from our 18 month old daughter who enjoyed every house visit and loved being around you. 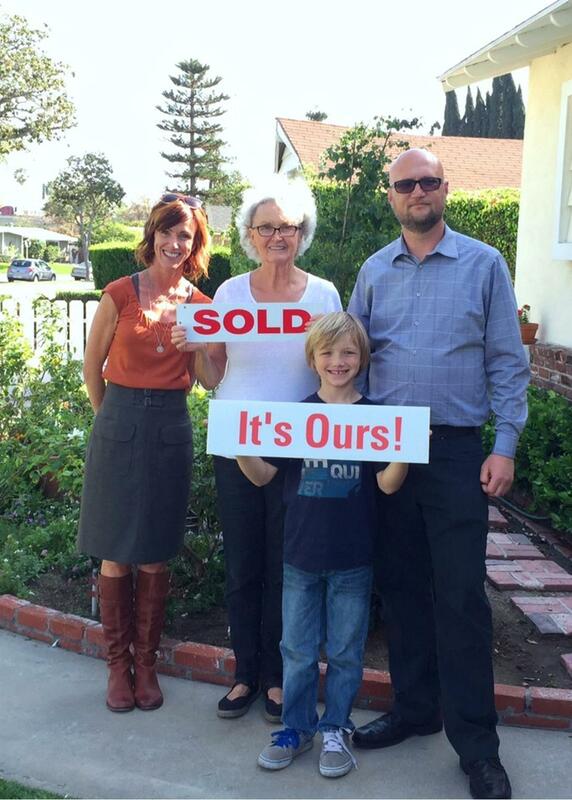 We highly recommend Denny and Denise Rockwell, great real estate agents, a wonderful couple and such good friends! Denny & Denise were wonderful. They were very patient and supportive all along the sales process. We needed to make repairs to our sun-room and had been looking for a solution for about 6 months, with no solution in sight. Denny & Denise had a recommendation after looking at our situation at our first meeting and their recommended supplier solved out problem with a cost efficient quality fix. 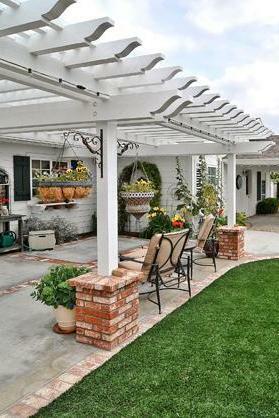 All of the service providers they recommended to us were professional, knowledgeable and reasonably priced. 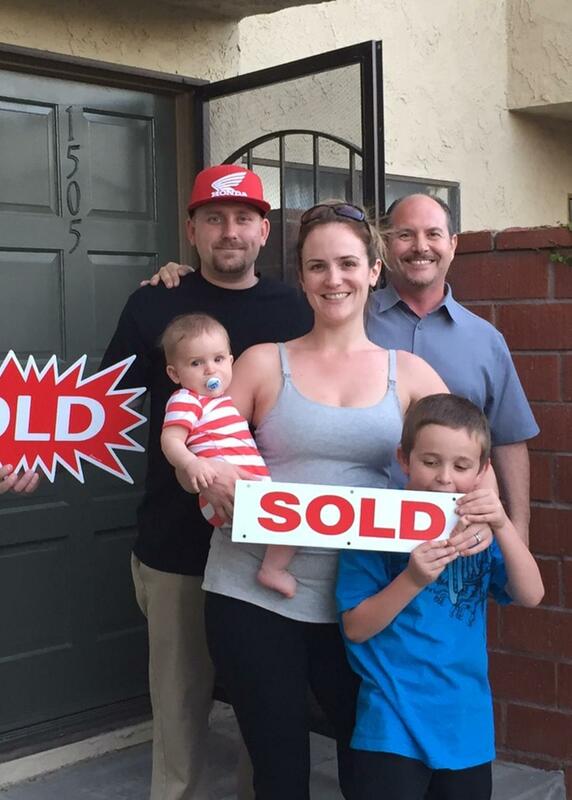 With their help and advice we sold our home about a week after our listing went live. In a business where money talks and everything else walk, they shouted. It seemed like we had been looking to buy a home forever. We met and talked to a few realtors, but never got a real sense of connection with anyone. Raul and I didn’t know too much about this stressful process and we were dreading it. 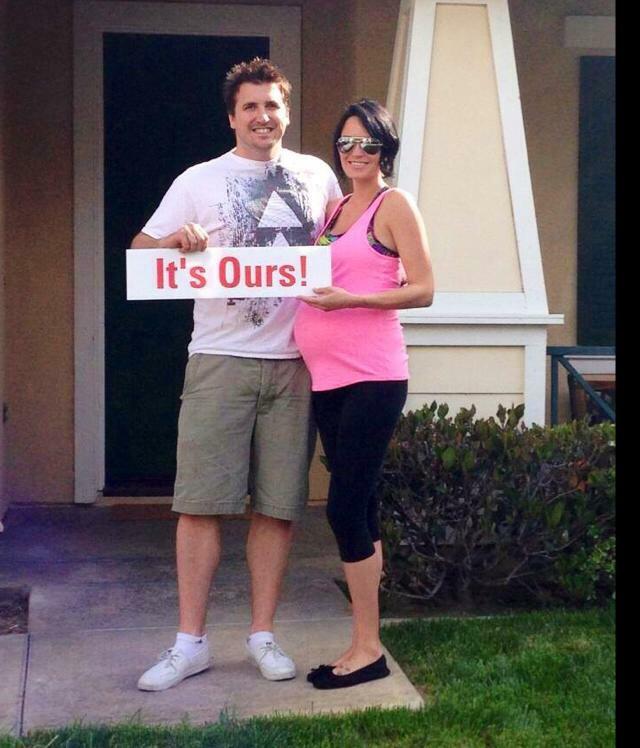 For the most part, we were hopeless and thought we were never going to own a home. Then Denny was referred to us. What a blessing that came to be. He was professional, understanding and so helpful. My husband and I were very impressed and relieved at the same time. Denny took his time to explain every detail of buying a home to us and was patient with all of our questions. Denny was attentive to our specific needs and listened to our concerns. A few days later, we met Denise and she was just as helpful and professional. They truly make a remarkable team. We felt very comfortable with both of them and they both made this dreadful process go smoothly for us. We are so happy to finally have a place to call home, and it would never have been possible without you and Denny, so thank you, thank you. Then after all of that hard work, we were finally closed and we got the keys to our house. Not only that, but we received our first house warming gift from you. Your gift was truly above and beyond, that was more than kind of you to give Sam and I so much. We will be putting everything to good use. Thank you. You are the best! I promise if I even here a stranger so much as whisper that they are looking to buy a house, I will let them know about you and how great it was working with you. This letter is our personal recommendation for Denny & Denise Rockwell as your real estate agents. Until just recently, we had no desire to sell our house but after finding Denny & Denise we knew it was the right decision because we had found the best representation possible. 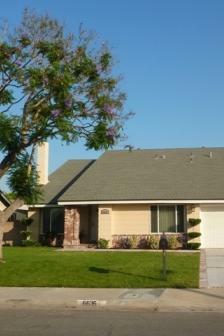 We truly love our home and wanted to find the best buyers for our property. Denny & Denise truly listened to our thoughts and needs with great detail. Ultimately, they made it their mission to sell our house showing not only professional courtesy but with a personal touch as well. We have found Denny and Denise to be consistently pleasant, tackling all aspects of our sale with dedication and a smile. Besides being a joy to work with, Denny & Denise have been take-charge people who have presented us with creative ideas while communicating all the benefits. 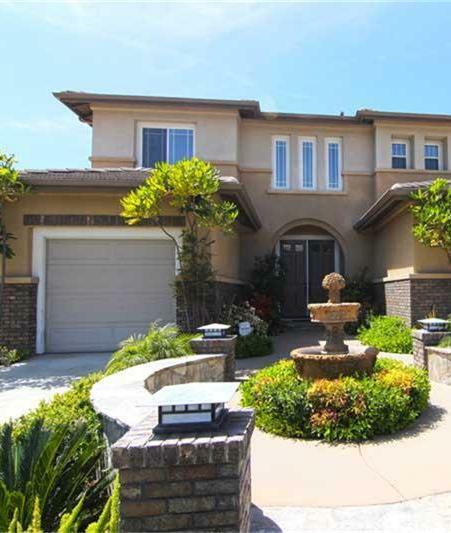 We were able to sell our house successfully in 6 days and I believe that their marketing plan for our property was key in achieving all of our goals on the sale of this property, which were price, good buyers and a smooth process. 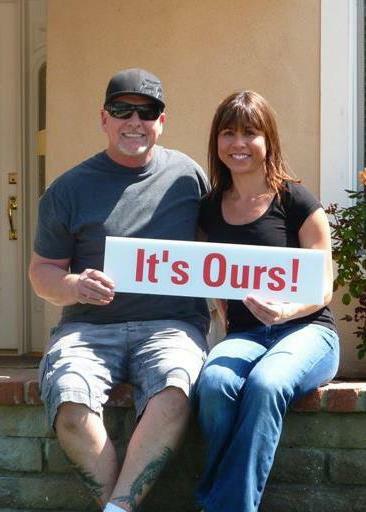 We highly recommend Denny & Denise as anyone’s real estate representation. They have been extremely organized and detailed and we couldn’t have been in better hands. They know what they are doing and their experience shows in everything they do. 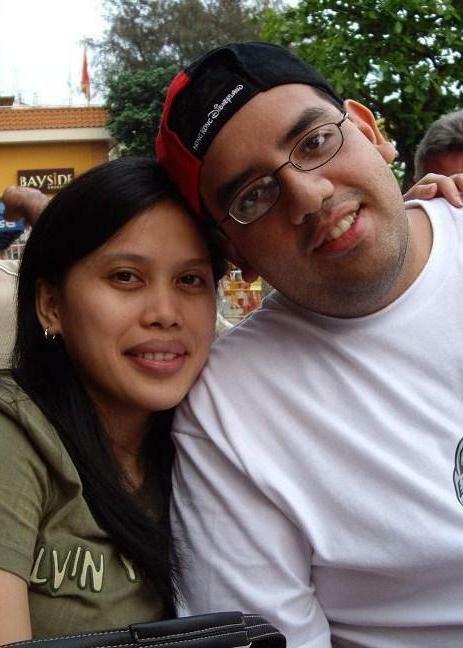 If you have any questions about Denny & Denise please feel free to contact us. 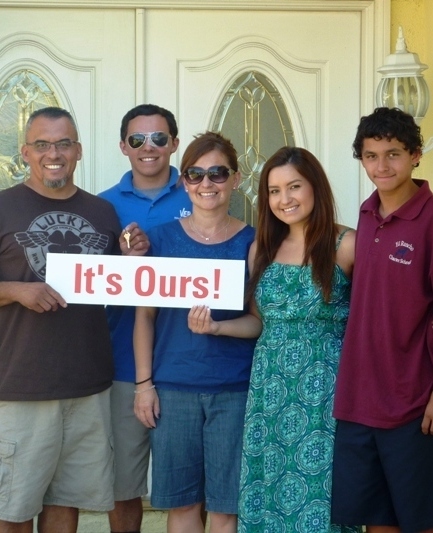 They are a phenomenal team and we know they can make you as happy with the sale of your home as they have made us. Heaven must have sent Denny & Denise Rockwell to us! Our elderly mother was no longer able to live in her home so after we moved her into assisted living, we contacted the Rockwells to be the selling agents for her house. Our mother recommended them and we went with her wishes. We thank our lucky stars we did. They were able to give us a thorough and professional idea of what we needed to do to get mom's house ready for the market. None of the suggestions were 'pie in the sky' projects either, just sensible recommendations to get the best price for her house. 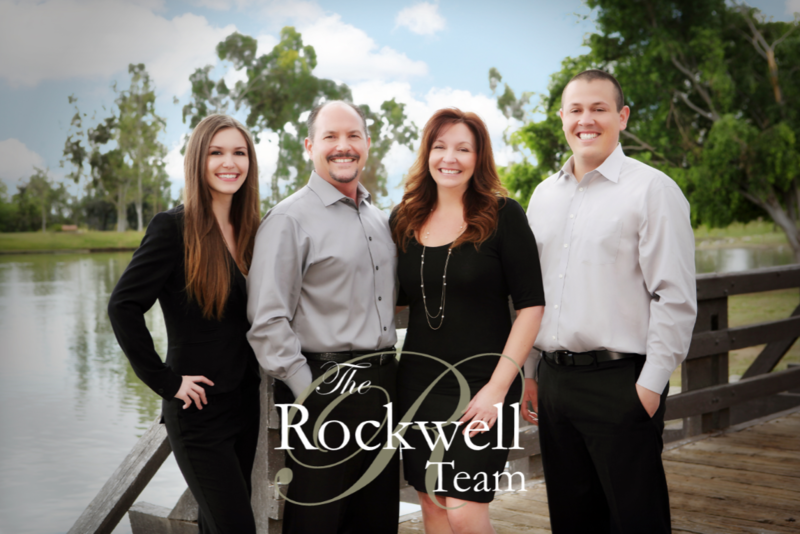 The Rockwells are hard working real estate agents. I've had several homes in my lifetime and only wish we had had one as good as these people. Together we were able to get mom's house in ship shape condition. Their marketing and communication were very professional and complete. They communicated with us regularly. Their market analysis was spot on. The house sold in less than four days and we had twenty offers! In addition, because I don't live in California but am my mother's power of attorney, Denny was able to get all the necessary documents and contracts to me in rapid time that allowed me to electronically sign everything I needed to. The closing went smoothly. Everything went absolutely perfectly. You could not ask for a better, more hard-working, professional real estate agent than Denny & Denise Rockwell. We would like to thank you very much for helping us find our dream home. I understand our requirements were sometimes tough but you both really came through in assisting us at every corner of the process from selling our home, to finding a suitable rental property, and finally finding our dream home. As in the Marine Corps you both went “Above and Beyond the call of duty” and provided exemplary service. We would highly recommend both of you to ANY of our friends who are looking at selling their home or finding their dream home. Again thank you very much from the bottom of our hearts. 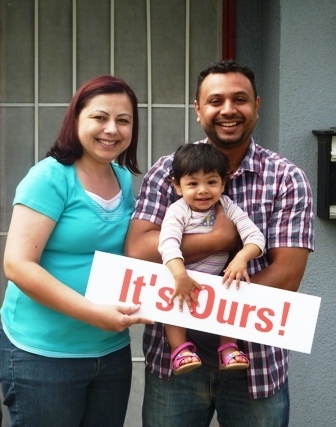 Grant and I wanted to thank you for making the sale of our home so easy. We were a bit concerned about the house selling in this market, and since we had to move 1400 miles away, we didn't know how we could possibly hope the house would be marketed properly without us being close by to watch over the process. We had visions of the house sitting for months without an offer. From the beginning you set our minds at ease. It was only three hours after our initial telephone conversation that we met with you to discuss the sale of our home, but in that length of time you had done the research to come up with a marketing plan. We were very impressed with your presentation and your plan. Any concern that we may have had about being kept up to date was quickly set aside as we began to receive telephone and email messages that kept us advised throughout the entire process. All our questions and concerns were answered promptly and completely to our satisfaction. We learned that you don't have to "oversee" or otherwise monitor true professionals. They keep you up to date without being asked. Your marketing plan worked perfectly! 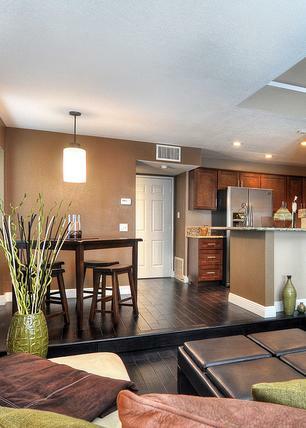 We are absolutely astonished at how quickly our home sold! Within the first five days on the market we had five offers, of which two were full price offers. 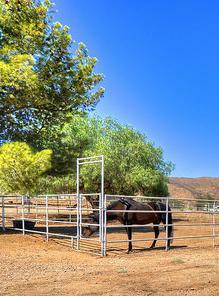 In this market of short sales and foreclosures, that is nothing short of miraculous. 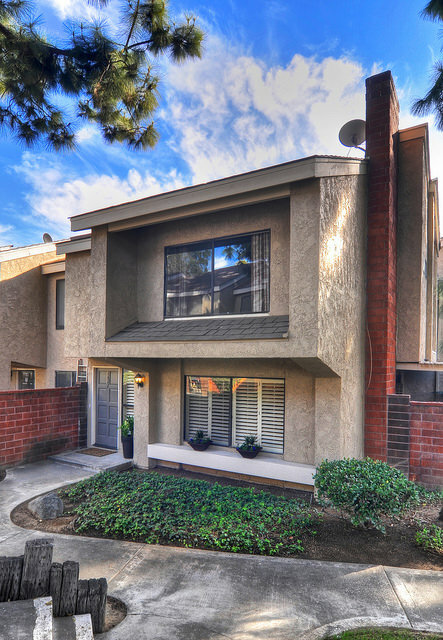 Of all the offers we received, you were instrumental in analyzing each one and helping us pick a buyer that enabled us to close escrow in less than 30 days! 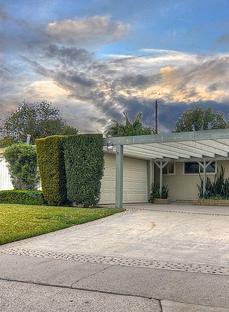 Without hesitation Grant and I would highly recommend you both to assist anyone in the selling of their home. You are well informed, well prepared and professional. You are available when you are needed and you get the job done - quickly! 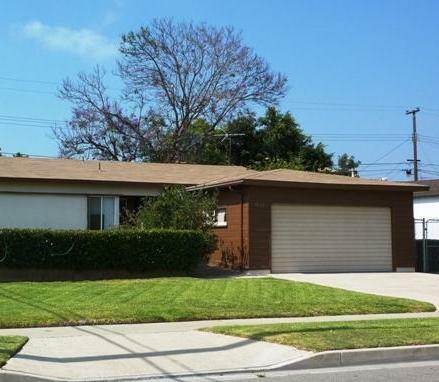 We want to thank you both for the excellent job you did with the listing and selling of our Fullerton home. You were extremely knowledgeable, professional and friendly. 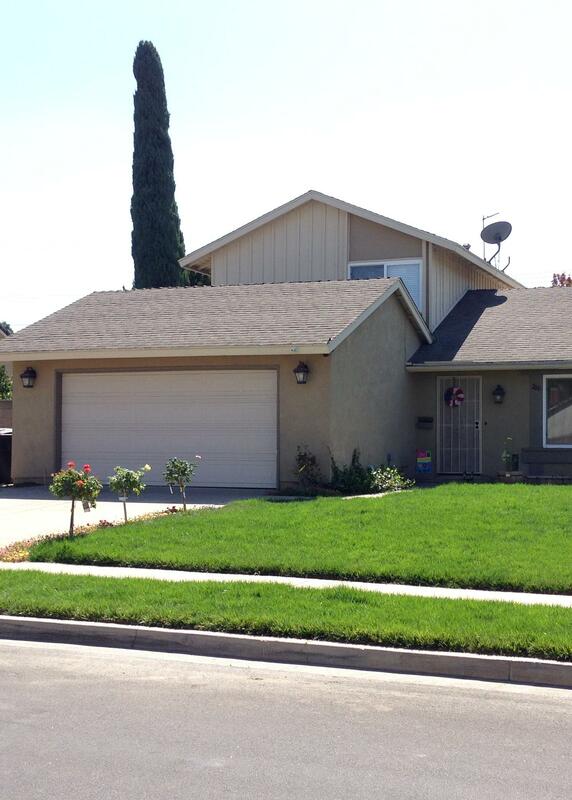 It was a pleasure working with you and you were able to market the house in a way that it sold immediately. We would definitely recommend your services to any of our friends in the area. I cannot begin to say how appreciative we were to have Denny and Denise as our real estate experts. We followed Denise's advise to the letter when staging our house, and although it seemed "plain" at first, it didn't take long to appreciate her advice. Denny is a master of marketing and technology, which is so important nowadays. 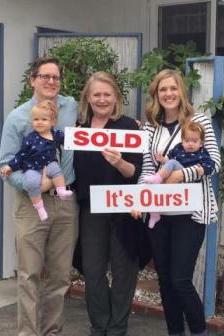 With their wise advice and marketing strategy, our house sold in a short two and a half weeks. 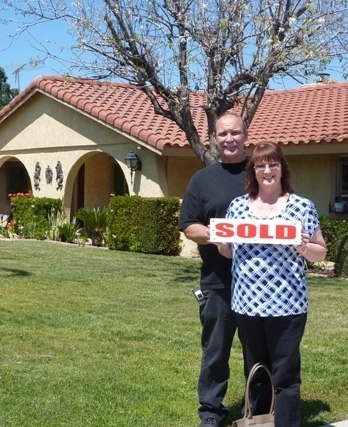 When there were some bumps in the road with our buyers loan, Denny was able to negotiate terms to our advantage. My husband and I would highly recommend Denny and Denise to anyone looking for a highly competent, ethical and practical realtor! Denny and Denise. We are definetly starting to feel right at home. We got our ceilings done and today we start the hardwood floor refinishing. We are very excited! Thank you again for everything. We got the giftcard,pictures and labels. Thanks again. We are so happy to have ended up with such a wonderful home but more than that we feel blessed to have been able to work with such wonderful people to find it. Thank you! Just wanted to drop a line to say thank you for a great home buying experience. You two really know your stuff. Thanks for the beautiful gift, you knew exactly what we needed for the house. It was very thoughtful. Our weekends are filled with cleaning, painting, repairing and totally enjoying our new home. Bryan and I still cannot believe we found a home that meets and exceeds all of our dreams! I just wanted to say thank you both, again, SO MUCH, for all your hard work. We are now all moved in, house is coming along nicely. The kids love it, the pets love it - we all love it!! It is a perfect match for us in every way. Not only did you work so hard to make it all come together, but every time we saw you, you had something cute for the kids - and then your gifts at the end were so thoughtful and generous. I am just waiting for someone to say they are in the market to buy or sell, just so I can tell them how great our realtors were - we would gladly recommend anyone to contact you guys. 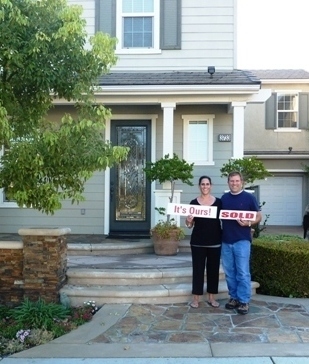 We were extremely satisfied with Denny and Denise as our real estate agents. We were in the process of trying to sell our two houses and buy our new Condo as well as plan our wedding. Life was in turmoil but they were able to calmly get each part of the puzzle taken care of with professionalism, care and good humor. They were always available to answer our questions and concerns and took care of many things that we didn't even know about! It was such a pleasure working with them and would highly recommend their services to anyone. They were a gift to us in so many ways!! I can't say enough good things about Denny. Initially, my husband and I were looking to rent our home and buying a new home (it was the buyers market) but after meeting with Denny, he advised us that the market was starting to turn around and it would be a good opportunity to sell. Boy, he was right! Looking back on it, I am SO HAPPY for his advice! And then going through the mortgage process, there were some really BAD loan agents, angry sellers (because of the bad loan agent), and iffy buyers and just problems and setbacks that would have made me COMPLETELY miserable and agitated, but Denny always stepped in and did everything in his power to sooth parties that needed to be soothed and nudge others that needed to be nudged. He was our sole center of calm and efficiency during the process of both selling our home and buying a new one that otherwise would have stressed me out. I am now happily relocated in the house of my dreams without the old house to worry about, all thanks to Denny! We also appreciated that he was internet savvy, and just being a nice person in general. 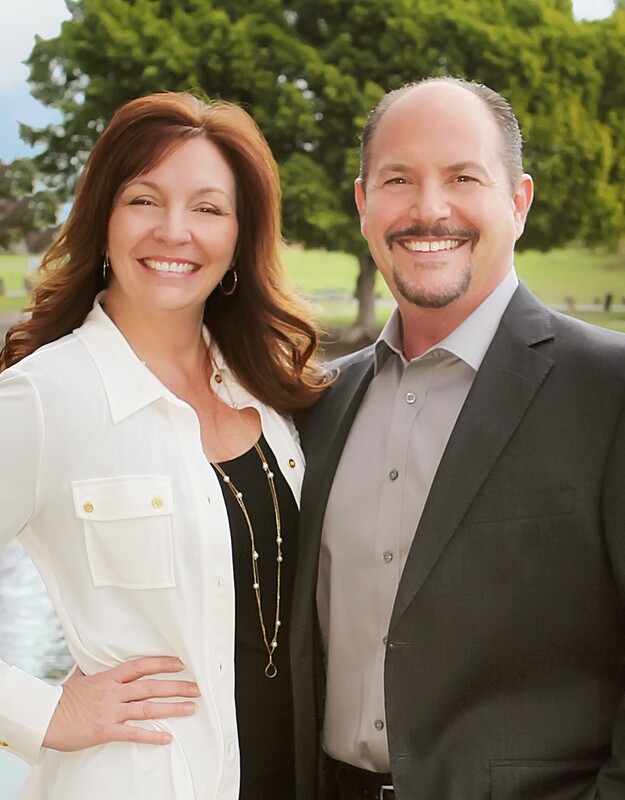 Oh and Denise gave us good design advice to prep our home for sale.They are the dynamic duo that I would recommend to anyone, and if anybody I know are looking to sell or buy, I would happily refer them to Denny. 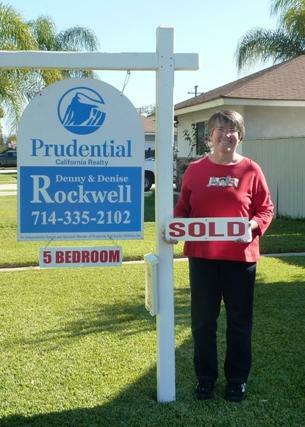 A huge thank you to my real estate agents Denny Denise Rockwell for their efforts in helping me sell my house. From their hard work I was able to sell my house in less than four days. Thanks guys. 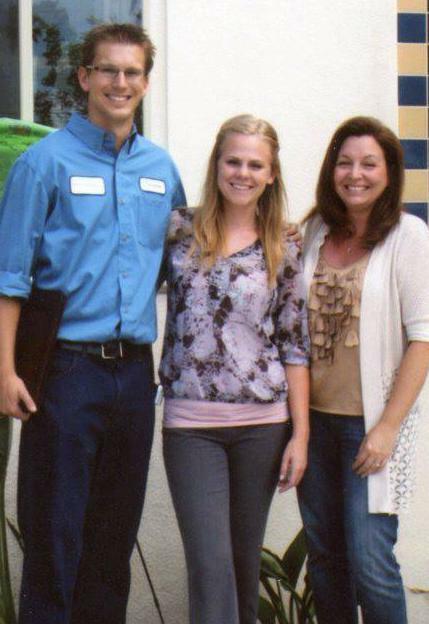 Denny Denise Rockwell are awesome people when it comes to your real estate needs. The experience so far has been wonderful. Marilyn and I thank you for your kindness and professionalism. Keep up the great work that you do for your clients. It's appreciated. We want to thank you so much for the way you handled the sale process with us. Everything went so smoothly and you were on top of every detail from start to finish. Even while negotiating the sale with buyers, you very carefully explained the pros and cons of every decision we had to make so we knew we were making the best decision for us. 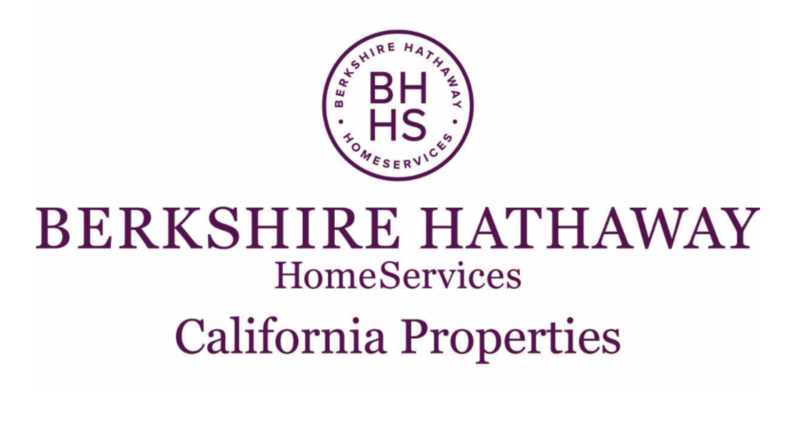 We feel fortunate to have our house sell so quickly and we attribute a lot of that to your marketing and preparing the house for sale prior to the posting of the listing. You were well prepared every step of the way and obviously know your business. This move was really important and necessary for us. And WOW-what hurdles were in store! But you stayed the course with us. When things would get a little overwhelming for us, you stayed positive and you helped keep hope alive in our hearts. You went above and beyond for us and you did it with such kindness and good humor. And we know Denise was quietly working behind you. We are grateful to both of you. You both are the A+ team in our book. We will always be grateful. It was a pleasure working with Denny & Denise. As I reside out of state, they went above and beyond my expectations in staging our house for sale - which ultimately sold for considerably more than we had anticipated. They were wonderful and we highly recommend their services. After having spent months working with another agent and getting no results we were very discouraged. When we met with Denny, he renewed our hope. Searching for the right house for our family to call home was not easy. It took a rollercoaster of emotion, many offers and a lot of research but it was all worth it. Being business owners and working professionals ourselves, we know what it takes to provide good customer service. 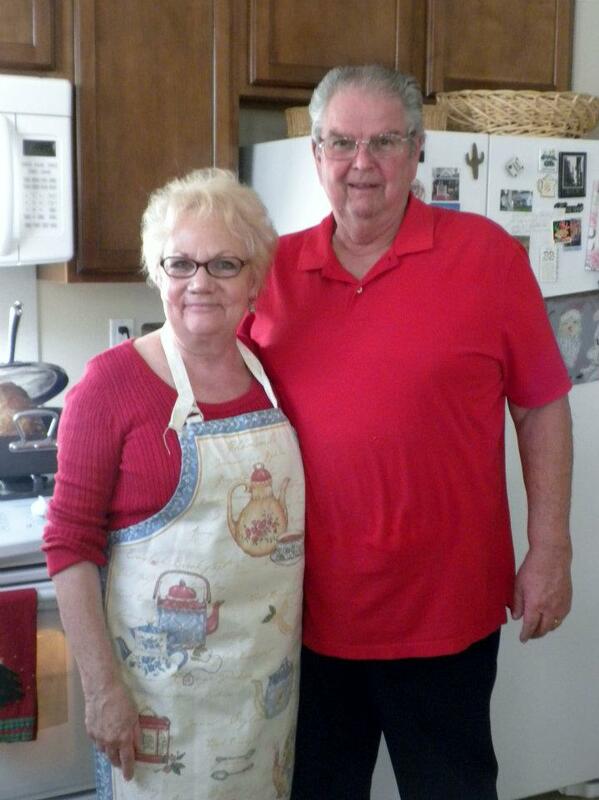 Denny and Denise Rockwell made us feel as though we were their only clients. We didn’t feel forced to make bad decisions just for them to make a sale. We were treated with kindness and respect all the way. They walked us through the entire process of buying a house and explained difficult matters in easy to understand ways. We made new friends and will definitely call on them when we are ready to sell. We will, and have recommend them to everyone we know who is in the market to buy or sell property. Just writing you to wish you and yours a wonderful Christmas and Happy New Year! Mike and I would like to Thank You for your excellent service in helping us to short sell his home. We had read and heard of all the horrors of a short sale. We were prepared for the worst. Fighting with the mortgage companies and the frustrations involved. We were very surprised at the quick and supportive service we received from you and your staff. The process was easy and alot faster than we expected. We would highly recommend you and your company to anyone who's thinking of selling their home. Thank you for your generosity and kindness in thinking of Mike and I after all was said and done. Now that we are finally settled into our new home, we just wanted to thank you for doing such an outstanding job for us. We couldn’t have asked for a more patient and professional realtor team. You operate like a well oiled machine! Also thank you for the awesome housewarming gifts. We also sincerely appreciate the first edition, signed Yorba Linda book. How very thoughtful! We highly recommend you to anyone. Brett and I just want to thank you so much for the wonderful pool equipment you bought us and for everything you did – you guys went above and beyond in many ways and we really appreciate all your efforts and patience. We are finally all moved in & are really enjoying the house. It has turned to be the perfect house for us. We have really fallen in love with it. Jagger too – which is huge! Thank you again, you two are so thoughtful & make a great real estate team to have on our side. I would just like to say how impressed I am with Denny and his personal attention to service and details, in short, for going the extra mile. I've done 5 major transactions with Denny in the past 7 years and have the most faith in him and his capabilities. It's integrity and personal attention to details that makes a client feel like an agent is great. And I, for one think that Denny is one of the best! 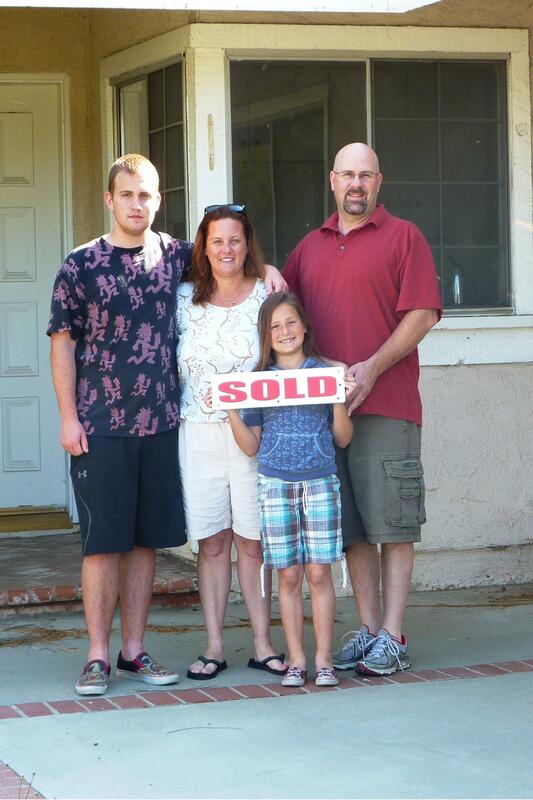 Me and my family wanted to thank Denny & Denise Rockwell for helping us get through the ups and downs of our short sale. We recommend the Rockwell’s because they are very hard working, took care of everything, took good care of us going through a rough time, and very professional. We also wanted to thank you for helping us find a new home. Now that I am finally over my longing for our life in Fullerton we both just love it here! We've had so much fun with our family & new friends. Also the neighbors are real nice & friendly. It's also nice to have air conditioning and a dishwasher. My absoluet best decision I made for our move was having you help us with everything. Kathleen still talks about you - it was so nice to get to know you. Thank you so much for the Christmas Ornament & the photo album. We still love Orange County & hope to come visit soon. We are so happy to be in our new home. Thank you so much for taking the time to work with us for the many months it took to find the perfece home! 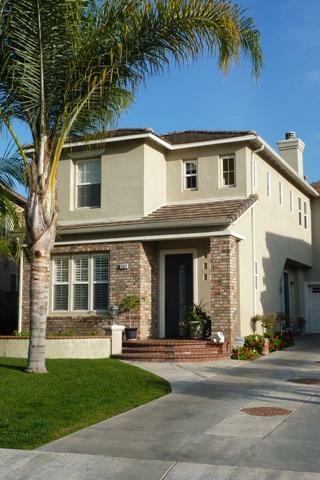 bought my house are happy. Hi Denny, thank you SO MUCH for the efforts you have put into this. Being that this is really our first interaction with you and Denise since you took over for Dan and Molly, I am impressed. Your work ethic is obviously like theirs, and that is what made us work so well with them, my husband and I are the same way. Thank you so much! We really appreciate your help! Thank you for your professional way of handling my sale, your honest and always there for me. It was a wonderful experience working with you. 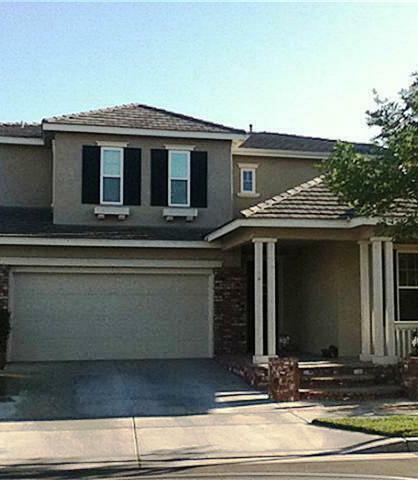 Thank you so much for seeing me through he whold home-selling process. And yes: it was pretty painless! Only my own paranoia came into play-but that's me. Thank you for also for your kind thoughts about my dad, he's rolling along. I would be proud to recommend you and your services to anyone!